I really enjoy making things with my hands. Especially when those things are for other people. Even better, little people. I recently learned a good friend's little girl was taking her first dance class this fall...my first thought (aside from Yay!! Everyone needs to take dance classes! ), "she has got to have a tutu to practice in at home!" I've seen "how to's" on this little craft in passing over the years and knew it couldn't be that hard. Tutus with bows that tie are so sweet but so not helpful for a momma with two little ones when it needs to be tied...so I opted for elastic for easy wear. 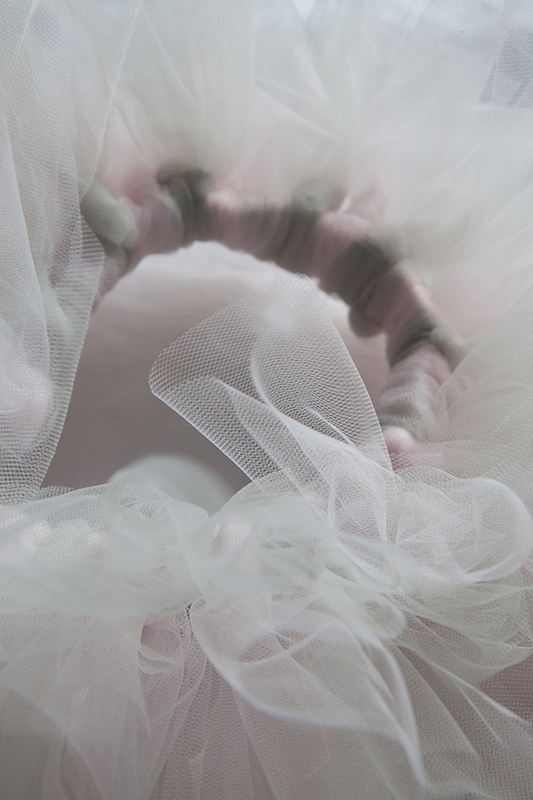 There is tulle in every color imaginable. 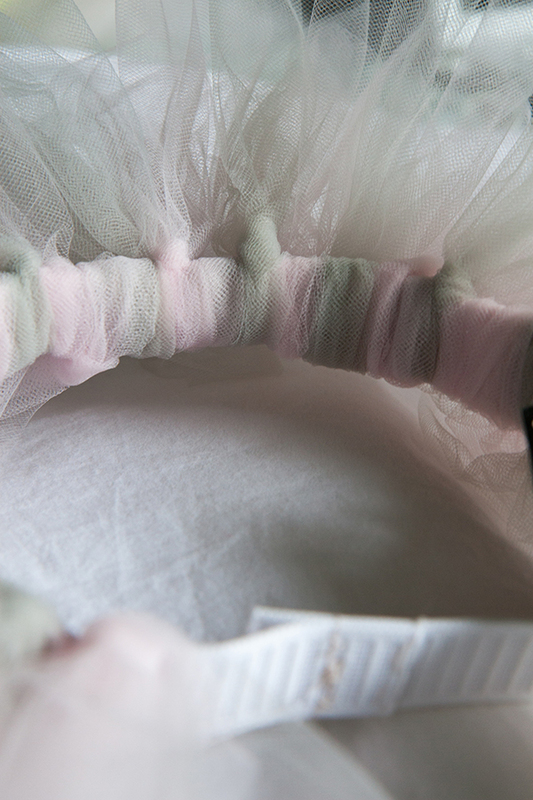 They even have tulle with glitter (if you want to continually sweep glitter off your floors). A little needle and thread. 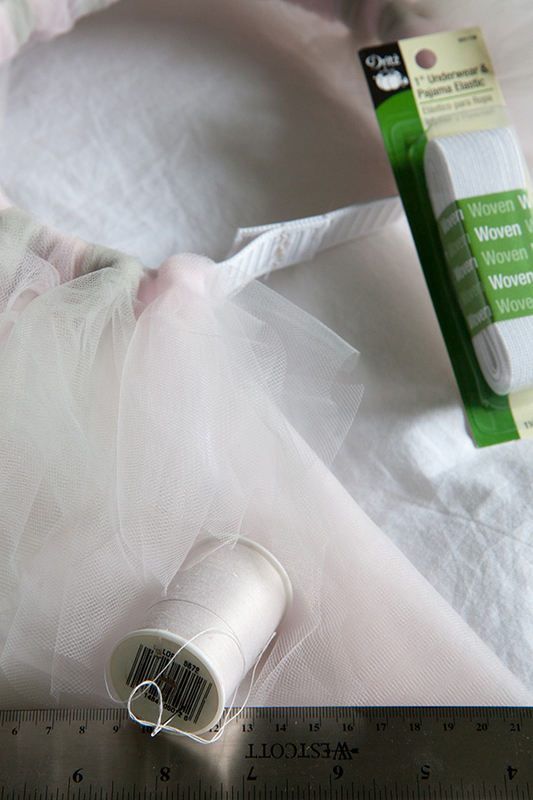 To attach the tulle: take one piece and fold it in half lengthwise, place the loop of the tulle on the top or bottom of the elastic band and pull the ends through the loops around the opposite side making it loop around the tulle. Continue alternating colors (if you have other colors) and make sure to keep the loops tight and close together for a full tutu. Now you have a lovely tutu!